Not long for Samus fans to wait now! Good news Euro friends, we’ve just had word from the Big N that Metroid: Other M will be launched across Europe on 3rd September. Only a few days behind the North American release date of 31st August which is nice. Not much longer to wait now! To whet your appetite for Team Ninja’s 2.5D reboot of the Metroid saga, why not check out our hands on impressions of Metroid: Other M from back in February? 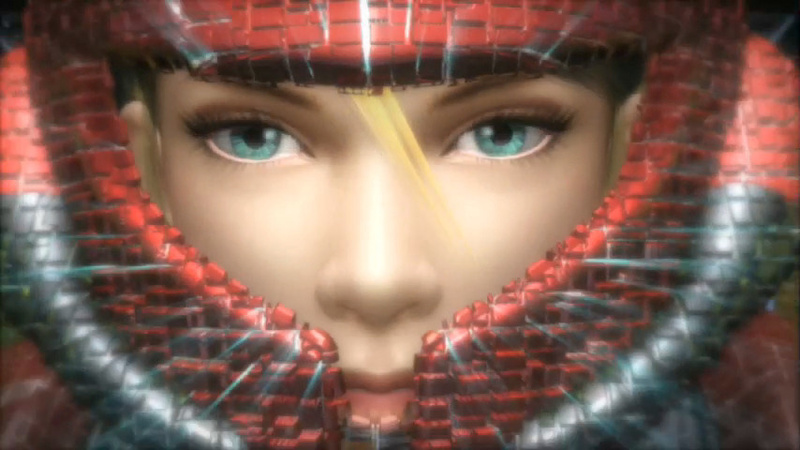 8th July 2010 – Prepare yourself for a Metroid adventure like no other. Stunning action and a moving personal story come together in an unforgettable way in Metroid: Other M, launching across Europe for Wii on 3rd September 2010. One of the first female videogame heroines in history, Samus Aran takes centre stage once more in this unprecedented collaboration, blending the slick, action-packed production of the Team Ninja development team with the game design talents of the original Metroid’s creators. Playing as Samus, players will seamlessly switch between third-person and first-person gameplay for the first time in a Metroid game. Explore and fight in third-person by holding the Wii Remote sideways, and - at any time you choose - switch immediately to a first-person view through Samus’ eyes by simply pointing the Wii Remote at the screen. This opens up all sorts of new possibilities for exploration and combat. Look through the eyes of Samus to search a room carefully for hidden objects, access vital information and lock on to enemies for precision attacks. Or remain in third-person view to take on swarms of enemies with Samus’ Beam weapon, aided by an auto-aim feature that makes gameplay in this perspective fast, furious – and utterly gripping! In another series’ first, Samus is getting more physical in Metroid: Other M, with a range of melee attacks up the sleeves of her Power Suit. Jump on enemies to perform the powerful Overblast attack, use the 1 Button with precise timing to Counter-attack and finish off wounded enemies with a Lethal Strike. Other new moves include dodging enemy attacks with a well-timed Sensemove and performing a health-restoring Concentration move by holding the Wii Remote vertically and the A Button pressed. Then there’s the new weapon, the Diffusion Beam, which will scatter Charge Beams after impact and hit additional enemies. Amidst all the new features, however, the development team have not forgotten what makes Metroid games so immersive and memorable: atmosphere, exploration and a truly great story. The game takes place on a single, giant Galactic Federation vessel – but this contains a huge variety of locations, each with different environments, unique flora, fauna and enemies. The Biosphere, for example, is a gigantic greenhouse containing a jungle complete with waterfall, rainfall and countless tropical – and aggressive – creatures and plants. The Cryosphere, by contrast, is a cold, snowy environment where the temperature is so low that entrances are often blocked by ice. Or picture the Pyrosphere, an area filled with volcanoes and magma. Some areas here have such high temperatures that Samus’s health decreases if not equipped with the heat-resistent Varia Suit. Exploring these hostile environments, you’ll find yourself drawn into a deeply personal story that finally tells Samus’ own tale, revealing her failings, her flaws and ultimately her motivation for being a Bounty Hunter. The story begins immediately following the events of Super Metroid, when a baby Metroid gave its life to protect Samus. 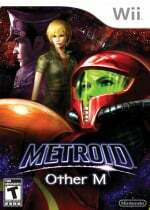 With voice acting in English language and more than one hour of beautifully rendered cut-scenes in total throughout the game, Metroid: Other M is not simply fun to play but also exciting to watch. The seamless switch from cut-scenes to gameplay and the smooth transition between third-person and first-person perspectives make this the most cinematic experience you’ll have had in a Metroid game. This is a dramatic new direction for a legendary franchise and a bold new blend of cinematics, storytelling and stylish, no-holds-barred action. Charge up your Beam, arm your Bombs and get ready to scan your environment for a copy of Metroid: Other M when it launches across Europe for Wii on 3rd September 2010. Good to see that European gamers won't have to wait long after the US release to get their hands on Other M. Nice! Yeah, seems well be getting it the same week as you guys! We always get our game releases on Fridays bar a few exceptions. Nice for Samus fans but I'm a fan of Metroid, not Samus. I don't want a game about the whining of a one-dimensional character. Is this for Aus aswell? May I say - Frankly, my dear, I really don't give a darn anymore. Good news, Whoo! it's out earlier!